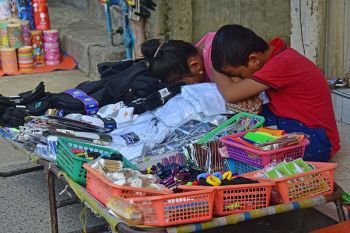 THERE is no kill list and he had no hand in the ambush of the Reluyas of San Fernando, Cebu and their companions, Ruben Feliciano said Tuesday, Jan. 23. That, as the local police were given two weeks to solve the crime by Philippine National Police (PNP) Chief Oscar Albayalde. Failing that, they get the boot. 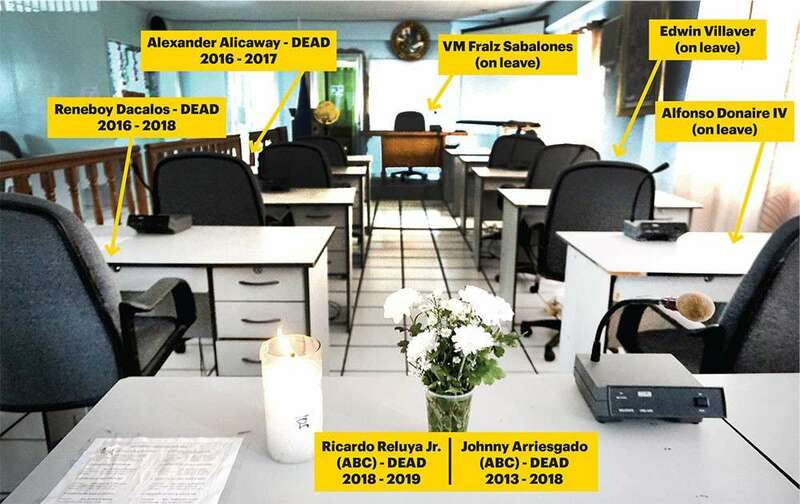 While motives behind the attack of San Fernando public officials have yet to be established, there is strong inclination that politics could be it, as social media comments and initial inquiries reveal. Feliciano is a wealthy businessman who is challenging San Fernando Mayor Lakambini Reluya for the mayoral post in the May 2019 elections. He reportedly has a "kill list" that included the names of Mayor Reluya and her husband, Councilor Ricardo "Nonoy" Reluya Jr. and a few more public officials of San Fernando. "I strongly deny any involvement in the so-called kill list insinuated by my political rivals, more so on any hand in the ambush of Nonoy Reluya and two other people. I am extending my sincerest condolences to the bereaved families of the victims. No one deserves to die in such a gruesome manner," Feliciano said in a statement sent by text to SunStar Cebu. Mayor Reluya and two companions survived the ambush at 5:30 p.m. Tuesday, Jan. 22 on the national highway in Barangay Linao, Talisay City. Her husband Nonoy, the driver and a town officer died on the spot. The mayor is out of danger but is under tight security. Feliciano, who comes from Davao and moved to San Fernando recently, said that he may have had disagreements with the Reluyas over his multi-million port project in Barangay Sangat, "I will never resort to violence." He said he chose to bring his conflict with the Reluyas to the court over the port project because he is "not the kind to take the law into my own hands." He called for "a thorough investigation" of the crime and "bring the culprits to the bar of justice." 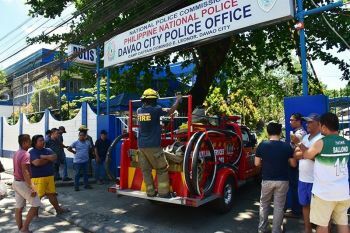 The ambush led to the death of Nonoy, barangay captain of Panadtaran and president of the Association of Barangay Councils (ABC) and ex-officio municipal councilor, and two others but left the mayor and two others wounded but alive. Police Regional Office (PRO) 7 Chief Debold Sinas has formed a special investigation task group (SITG) as he took Albayalde's challenge to solve the crime in two weeks. "The pressure is there, but we will follow the directive... we will do our best," Sinas said. Sinas said Reluya has given investigators the names of those possibly responsible for the attack. Reluya mentioned politics as motive of the attack, Sinas said, and the SITG is pursuing this lead. Reluya told investigators that she and her family regularly get threats during election period. Meanwhile, a team from the Scene of the Crime Operation (Soco) recovered 73 slugs of M16 rifle and firearms said to belong to the Reluyas. The mayor was saved by her husband who shielded her with his body during the attack. Nonoy was seated behind the driver. He died from gunshot wounds in the head and the body. 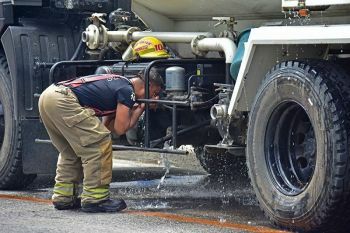 The other fatalities were driver Allan Bayot and local economic investments and promotions officer Ricky Monterona. Those who survived with the mayor were municipal employees Giovani Perez and Tolentin Jefer. Cebu Provincial Police Director Manuel Abrugena joined his men at the crime scene. They couldn't get witnesses to describe the attackers. When election period started last Jan. 13, Sinas recalled all the police escorts to mayors and governors in Central Visayas. But after what happened, Sinas detailed two police officers to secure the San Fernando mayor until the investigation is over. He also sent men to guard the wake of Nonoy and the two others slain. The San Fernando Police Station has 31 new members after Sinas relieved the previous ones early this month. San Fernando is in the election wathclist of areas (Ewas) because of its past election-relatd incidents. Sinas will ask the Commission on Elections to permanently place San Fernando in the Ewas-orange category, because of the deaths. Last week, Nonoy Reluya disclosed to SunStar Cebu that Feliciano had been posting on social media threats he made against the Reluya couple, slain councilor Reneboy Dacalos, slain Barangay Magsico chief Johnny Arriesgado and two other town officials reportedly involved in illegal drugs. Feliciano's posts have since been erased but a reliable source sent SunStar Cebu screen captures of these posts. In his comments, Feliciano accused members of Reluya's slate for the May elections to be involved in narcopolitics. Based on records provided by the San Fernando election office, only Arriesgado was with Reluya's slate. Dacalos was running as an independent councilor, and Alfonso Donaire IV and Edwin Villaver are running independent as well. Feliciano had claimed that Reluya won the 2016 elections with the help of the machinery of drug lord Franz Sabalones, brother of Vice Mayor Fralz Sabalones.